It is pretty, but WAY too cold for me! We are having bizarre weather. 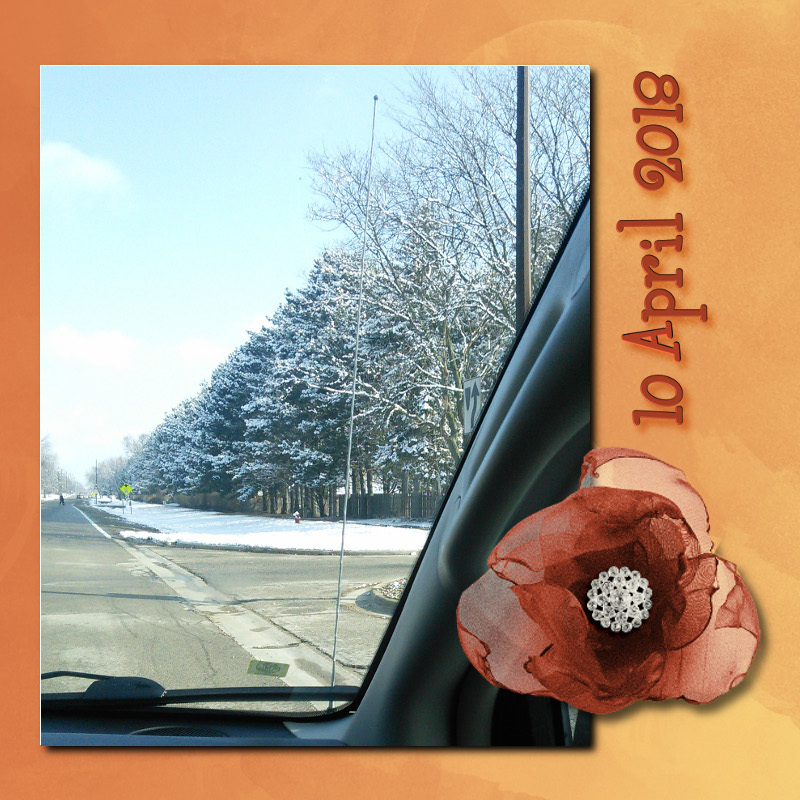 Snow all day yesterday but a high of 45 degrees (F). More snow this morning with huge wet flakes and a forecast of 55 degrees for the afternoon. Meanwhile I'm at my desk and shivering with cold. Do not like. That is crazy! We've been having nearly 30 degree temperature changes, and last week we had two days with the change being 40 degrees! I hope you stay nice and warm! It's snowing here in Pinckney right at this very moment. Ugh. I am so ready for spring. You and me both! And I feel so bad for the birds & other critters, needing to cope with the crazy temperature changes. That cannot be easy. ETA, since there is no time like the present, how did you select your user name? Do lime and vanilla go well together. I am not a foodie and have no idea (although I can tell you that I love vanilla as well as limes). .... and now it's 65 and sunny! Ah, Michigan, you lovable, crazy state. The story behind my username is ridiculously uneventful. When I was trying to decide on a name, I literally looked around the room for ideas and saw the candle I was burning. The candle's scent was "Vanilla Lime," and I figured it was as good as anything. For the longest time, my default userpic was Yankee Candle's stock photo for that candle. Then I started wondering if people might think I was trying to promote the company or something, and that's when I found the cupcake picture and started using it instead. I've never really eaten any vanilla lime food, but the candle remains one of my favorite scents!